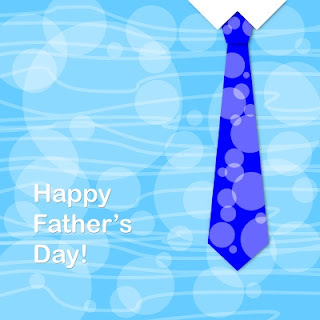 Wishing all you Dads and those who have stepped into the role of dads, a Happy Father's Day! This summer the J.Q. 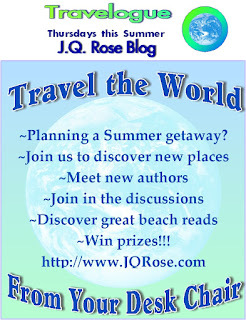 Rose blog is featuring a Travelogue on Thursdays, basically because I love to travel. So I thought I'd take you on trips we can enjoy from our desk chairs. Not quite the same thing as the actual tour, but at least we can get a taste of a place through the author's eyes. 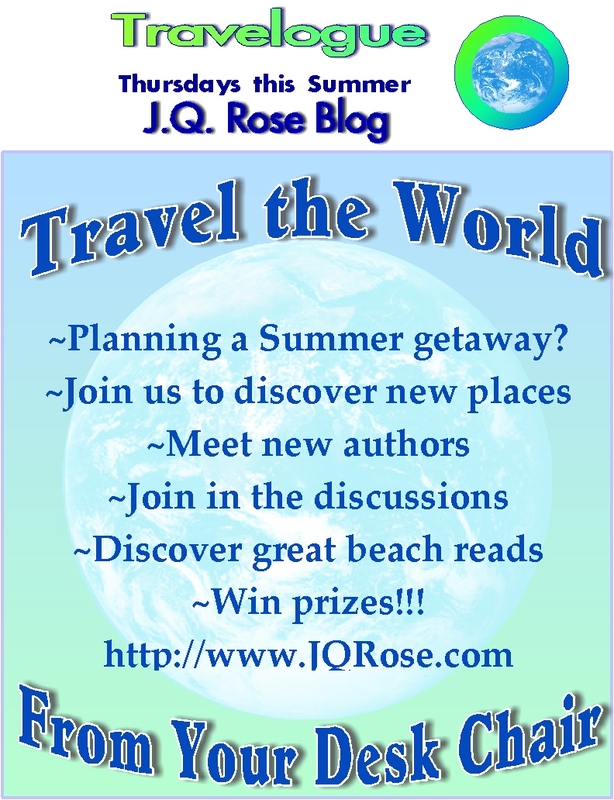 Guest authors and I will host a travelogue this summer. (We've had two guest authors already--Heather Fraser Brainerd's Old San Juan and Rachael Kosinski's Peru) Perhaps the trips may nudge you into actually visiting the place in the future. Today I am suspending the travelogue in order to pay tribute to dads and especially to my dad. I believe I got the traveling bug from my dad. He loved to go to new places and introduce us kids to a wider world than what we experienced every day in our small town in the center of Illinois. Taking a road trip when I was a kid was very different from these days. My two brothers and I would pack in the back seat of the old Packard and take off with our parents. The four-lane expressways were just being built, so most travel was on two lane highways. Fast food was unknown. My dad cautioned, "Don't ever order a hamburger at the restaurant." He was worried about food poisoning in the Mom and Pop restaurants along the way, I believed him too because many times my favorite drink, chocolate milk, was sour. I wonder if there were food inspectors in the '60's. If so, they weren't doing their jobs! Rest areas were non-existent. GPS? Never even imagined such a thing. Road maps were our means of navigation. One time my dad asked Mom how much farther we had to go to our destination and she held up her thumb and forefinger about an inch apart and said, "About this far." We all laughed at her. "Miles, Mom, not inches." The road trips were very special times for us to be with our dad because he worked all the time. He was a funeral director on call twenty-four hours a day. He worked all night and all day when he had funerals. (And they always seemed to come in batches of three!) His dedication to helping grieving families and treating embalming as an art garnered great respect and admiration from our community. When he wasn't working at the funeral chapel, he worked at our local bank. While Dad was the smartest man I ever met, he was not a business man. People owed him for funerals, but he never took anyone to court to collect. He was happy to take chickens, eggs, etc in payment for the funeral especially when he knew the family didn't have money to pay their debt. He loved and appreciated people. Our small community was not diverse in its ethnicity, but we did have one sweet African-American couple, one Jewish gentleman, and some residents whose names were not German. 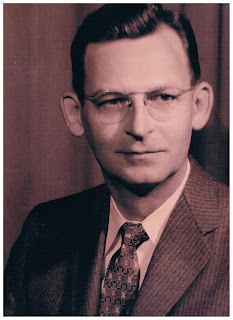 But because Dad was not prejudiced, I didn't even realize there was a stereotype for any one different from me until after I graduated high school. He passed too soon at age fifty-nine. I still miss him. Thank goodness I have those memories of road trips and his kindness to everyone to treasure. Please take a minute to share a comment about your dad or that special man who played a big part in your life.. What do you remember? Thanks for stopping in. Follow this blog by email so you won't miss a post. Lovely tribute, JQ and brought back memories of traveling with my parents whenever the Air Force transferred us. You described it perfectly except we didn't have AC in the car, so the windows were open and all kinds of bugs flew in. LOL Daddy never met anyone he didn't like and who didn't like him. He was very much a hail-fellow-well-met type guy. He was unfortunately prejudiced--a product of his upbringing in MO. His parents were German immigrants who had experiences of prejudice against them. It always seems to me that those who receive that kind of treatment would be especially carefully not to pass it on. Doesn't seem to be the case. Make others feel bad so you can feel good about yourself. Sad. But...kids loved my father. (There was only me.) I remember even after I was grown up in college and I was home visiting one time. The little boy who lived next to them knocked on the door and asked if Les could come out and play. And he took time and went out to play with that little boy. He was a good man. Also died young. 63. Thanks for the lovely post. Look forward to the next installment of the travelogue. What a heartfelt tribute to your dad. Father daughter relationships are pretty special. Enjoyed your reply. Thank you.